You are currently browsing the archives for the Resurrection category. 1] The Book of Sirach is also known as “Ecclesiasticus, or the Wisdom of Jesus, Son of Sirach.” It teaches ethical and theological topics and ideas. It talks a lot about the tongue and speech and the author indicates here that a person’s thoughts and words are a mirror of what lies in the soul. People can be ‘smooth talkers’ until they are shaken or put through tribulation and the ‘husks’ they try to hide are revealed. How true do you think it is that a person’s talk reveals who they really are? How attentive are you to your own speech? 2] The revolutionary hope of Christianity is in these words of Paul. Corinth was a major cosmopolitan sea-trading city. Idolatry and immorality were rife. Paul insists we can overcome sin through Christ. (15:57). What do you think Paul means when he says God gives us the ‘victory’ through Jesus? How have you experienced this ‘victory’ or a degree of mastery over sin? What area of your life do you most need ‘victory’? 3] Paul acknowledges our ‘corruptible’ bodies but states we will be clothed in Christ’s ‘incorruptibility’ and ‘immortality’. How does that make you feel? 4] Most of us know someone with physical, mental or emotional disabilities. Many times, the vulnerable are gifted with a differently abled way of seeing, hearing or sensitivity which is both gift and challenge to us all. Pope Benedict stated; “It is not by sidestepping or fleeing from suffering that we are healed, but rather by our capacity for accepting it, maturing through it and finding meaning through union with Christ, who suffered with infinite love” … “Man is worth so much to God that he himself became human in order to suffer with us in an utterly real way—in flesh and blood—as is revealed in … Jesus’s Passion.” (Spe Salvi, 37, 39) How do you reconcile suffering with the promises of Christ? What encourages you most about Paul’s words? 5] Paul says that the Resurrection means nothing we do is wasted. We often don’t see the results of our efforts but if we truly believe Christ has won the victory then as the saying goes; we may lose the battle but win the war. In God’s case the war is already won. Paul’s perspective calls us not to idly ‘hope’ for some future heaven, but to live right now in God’s Reign. We are called to do all the good we can today, knowing everything we do matters to God. How can I allow that truth to more deeply impact my daily life? 6] The Gospel links strongly with the first reading. What are the main connections for you? Jesus challenges us to not just talk the talk but to walk the talk. St Augustine asked, “Suppose that God wishes to fill you with honey [a symbol of God’s tenderness and goodness]; but if you are full of vinegar, where will you put the honey?” When did you last seriously review your own talk, habits & reactions for ‘vinegar’? How hard is it for you to trust others? How is testing others different from criticizing? What help do you need from God to fill your heart with honey and ‘a store of goodness’? “…Every tree is known by its own fruit’. God has equipped us to bear good fruit. How are you tending the fruit tree of your life? How do others experience you as a person and a Christian? Is there a difference? in the midst of Greek culture and philosophy. The question of death is pondered. Physical death does not cause an end to God’s relationship with those who belong to him. This reading links to the Gospel with Jairus’ daughter raised to life. Have you reflected the beauty of creation lately? Considered what it means that each person is made ‘in the image of God’? If all of creation belongs to God, how does this affect your relationship to creation and respect-full ‘life-style’? ‘surplus’? Have you responded to the needs of the ‘poor’? How? •The Gospel has two stories of great faith. Jairus was a leader of Liturgy at the Jewish Synagogue. It required great courage for him to approach Jesus as he could lose his job seeking the help of anʻoutsiderʼ to the Synagogue. He humbles himself and pleads for his sick daughter. Have you ever wanted to ask for help but were too embarrassed? What is it that really holds you back? What healing do you seek? Can you notice in the reading that healing often requires faith and action – and not just prayer alone? What does this inspire you to do? embarrassment when asked to identify herself in public? Why do you think Jesus wanted to make this ʻpublicʼ? you experience the personal ʻcostʼ of creating the Kingdom of God? • ʻAnd they ridiculed himʼ….. The people attached to the Synagogue, (12 tribes) are symbolically represented by the 12-year-old dead Jewish girl but are now invited to rise and believe in Jesus. So too the woman, excluded by the Jewish code of holiness for 12 years, is now made whole and welcomed by Jesus. A new people is born by faith. What does this teach us about Jesus? The Church? 10th Sunday Year B: Who is Jesus’ Family? 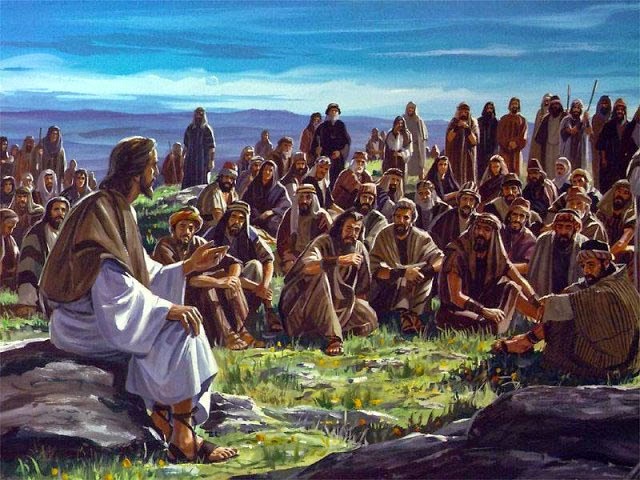 Discussion Guide for 10th Sunday: Who is Jesus’ Family? The first reading reminds us we are created for relationship with God. When we love someone, we like to know where they are, what they’re doing, and instinctively want to protect them. What’s it like to realize God is searching for you; wanting to know how you are and to listen to what is happening for you? Talk with God about that. The tragedy of sin is that it damages the relationship of love and trust between God and his people. Self-deceit, thoughtless choices or destructive life patterns are ways we try to hide from ourselves and God. What are you uncomfortable talking to God about or facing in your life? Accepting responsibility and natural consequences are part of maturing. Can you think of a time when God allowed consequences to help you grow and mature? How has that experience impacted your faith and trust in God? St Paul talks with conviction about ‘knowing’ that Jesus rose from the dead and that we too will be raised up with Jesus and be with all believers. How strong is your conviction about the Resurrection and the promise of eternal life? What aspect of your faith needs strengthening? What could help you grow more firm in faith? 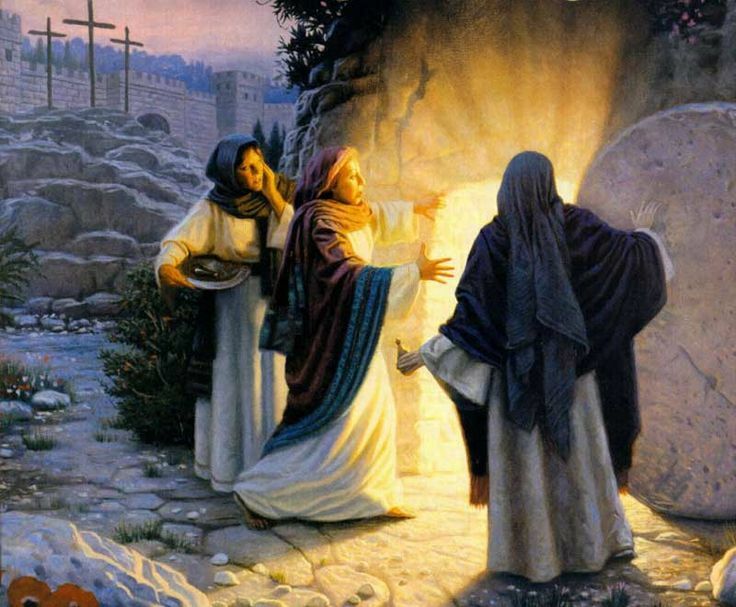 or easy is it for you to share the Good News of the Resurrection? What stops you? Paul links living a life of thanksgiving to the Resurrection. What practical steps will you take to build greater thankfulness into your daily life? was to tell stories to try to get them to recognize their error. Can you see anything of yourself in the attitude of His family or the Scribes? What challenges you most about being a disciple? How do you react when those you love, and respect misunderstand or mock you? Share those challenges with God.